Do you need a Main Sewer Line Replacement in North NJ? 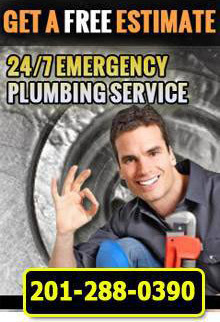 If so, 1st Choice Plumbing, Heating and Drain Service specializes in effecive Main Sewer Line repair. No matter how bad your sewer backup is, our professionals can handle your Main Sewer Line Replacement in North NJ. Our professionals have years of experience providing customer with fast and efficient services at a price you can afford. At 1st Choice Plumbing, Heating and Drain Service, our professionals will take your Main Sewer Line into our own hands. Most people do not know that Main Sewer Lines can easily become damaged from deteriorating, splitting or collapsing. With our Main Sewer Line Replacement in North NJ, our professionals can fix your sewer problems and prevent any possible sewer backups from occurring again. There are many problems that can cause you to need a new Main Sewer Line Replacement in North NJ including old age, combined pipelines or tree and shrub blockage. Our plumbing experts will perform Main Sewer Line Replacement in North NJ no matter the cause of your problem. We provide all customers with reasonable rates, fast services and a stress-free environment. For more information on our Main Sewer Line Replacement in North NJ, call 1st Choice Plumbing, Heating and Drain Service at 201-288-0390. 1st Choice Plumbing, Heating & Drain Service – Your trusted source for Main Sewer Line Replacement in North NJ.